With the rise of cryptocurrencies these days, it has attracted more and more people to the space and resulted in hundreds of new coins being published. Regardless of the current statuses of these coins (whether they’re dying or making it big in the top 10) that represent their own projects and teams, they usually start with an ICO, and an important part in the ICO would be a cryptocurrency white paper. A cryptocurrency whitepaper, simply put, is a paper that “sums up the goals, techniques, processes, and resources necessary” to successfully run a project. A crypto white paper works by giving information to potential shareholders, investors, and the public about the project that is being pitched and the company behind it. 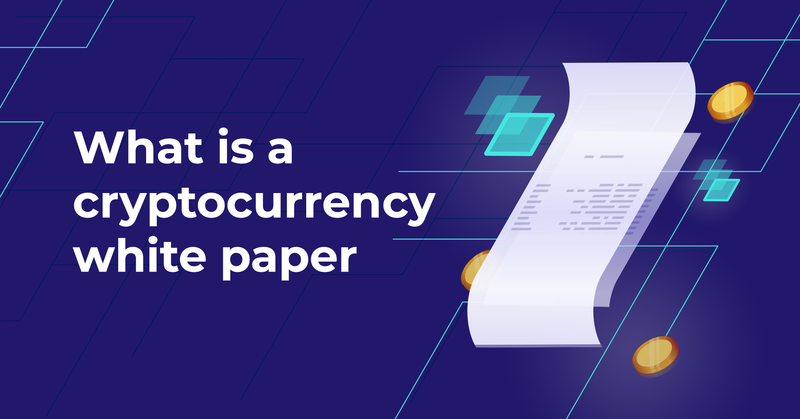 Cryptocurrencies white papers often involve some newer terms – since the crypto world is still young – that can sometimes be hard to comprehend by the general audience. This is exactly why writing understandable blockchain white papers can be a daunting task, because it needs to balance the “technical aspects of a project in detail, while also remaining relatively comprehensible to the general public”. It’s easy, really. Avoid writing a bad white paper. Actually, no, we’re kidding, hope you’re still reading! After deciding what to include in each tick point of the list above, you can start turning them into a real writing product. Generally speaking, a good white paper should be formatted in PDF. Not only will this format make a white paper look more professional, it also protects itself by making it hard to edit. You just have to make sure that you will work extra carefully to its construction – because once you make a mistake, it can become fatal and PDF isn’t easily corrected. In regards to the technology, platform, and processes, you can opt to include some mathematical and scientific stats in the whitepaper. While this can be hard to read and be understood by some people, others who are discerning will enjoy it. This is also good as it shows that your team is committed by willing to disclose calculations in specifics. As for the length, it depends on the information that is available to offer. Be advised though that a longer document doesn’t necessarily mean it’s better. Imagine this: would you rather read a 30 pages-long whitepaper with 1/3 of them talking about the research processes involved in the project, or would you rather take a look at a 15 pages-long whitepaper that clearly presents the main points and important information? What matters is what one puts in the whitepaper, not how long it is. A good whitepaper should also become the best representative of a crypto project. This means, put less emphasis on your token and its speculative nature, and more on giving a clear definition and guide to potential investors. Put yourself in your partners’ shoes: how are things looking from their point of view? Is the whitepaper they’re looking at clear and concise, or is it a lazy work done by copying and pasting a template without changing much of the content? Does the whitepaper give a clear meaning and bring understanding to the project? Does it involve a roadmap where everyone can see expected milestones and deliverables? Last but not least, always include references. Being transparent about the sources that you’re quoting won’t only build trust, it will also make your project become more respectable since you’re also paying respect to the various references that you use in writing your white paper. All the tips above show why a whitepaper is important for cryptocurrencies, as it becomes the main point that highlights a crypto project and help potential investors and partners decide whether that project will be interested for them to participate or not. Although white papers in general seem to be something so challenging, they are necessary – if not mandatory – in the crowded crypto universe these days. With a good team of writers and project managers, assembling a white paper shouldn’t be too hard. Over a few rounds of feedback and deliberation and after some revisions, anyone can produce a clear, well-written whitepaper. If you’re looking to write your own white paper, our advise is to really take all the time you need and prepare ahead before starting your project, since, again, white papers matter. Next Post:Horoscope from Changelly: Which Crypto Suits You Best?